Joining the ranks of classic characters alongside Sonic, Megaman, Pacman, and Ryu, it’s safe to say that Smash Bros. has departed from its premise as a simple Nintendo-themed fighting game and officially gone into the realm of fan-fiction. So now that we know Nintendo is willing to break expectations to make our childhood icons fight each other, here are 5 more crazy DLC characters from our past that we not only want to see coming, we expect them. While Sonic was brought forward from Brawl, the other third-party candidate, Solid Snake, was left behind in the dust for this new generation. Since the release of Metal Gear Solid V: The Phantom Pain and all the controversy surrounding it has stirred up buzz about the series once again, it’s time for Snake to make his return to the battlefield. But with so many Snakes now throughout Metal Gear to choose from, Naked, Old, Venom, who would be the most appropriate this time? With Nintendo’s emphasis on playing to their fans’ nostalgia, it could be no other than the original, Solid Snake. But never one to pass up a chance at being retro, the pixelated old school Snake from the original Metal Gear Solid on the PS1 is the perfect candidate to represent the series and entirely removed from the decayed remnant Konami has become. It’s taken over a decade, but the newest addition to the Doom series is finally on the horizon. Before Halo was lauded as the defining console first-person shooter experience, there was Doom on the Super Nintendo. He’s battled hordes of demons on Mars and Hell and now it’s time he takes on his greatest challenge in the Smash Bros. ring. Doomguy is perfectly able to cater to our retro needs, while still remaining relevant in our futuristic cyber future of 2015. It’s easy to see Doomguy fighting alongside Pikachu and Falco, shoving his chainsaw through Ness and firing rockets at Rosalina. With his arsenal of weapons and trademark background rock music, he’s honestly a shoe-in at this point. Star Wars is back and bigger than ever now that Disney’s behind the wheel. Episode 7 comes out in little over a month, and both a new Battlefield, and even Super Star Wars on the PlayStation Network return today. Nintendo has to act swiftly to capitalize on this Star Wars resurgence, and how better than to bring in one of the most classic villains of all time, Darth Vader himself. The DLC characters thus far has been dominated by heroes, so it’s high time that a true villain makes his debut to even the odds. There’s already a precedent set with Darth Vader guest staring in fighting games back in Soul Calibur IV, so his addition is more likely than you may think. Smash Bros. even already has a lightsaber-esque item of its own with the Beam Sword, so the Dark Lord of the Sith should feel right at home. And then he could totally dual-wield lightsabers and HOW RAD WOULD THAT BE! In the same vein as Star Wars, DC is ramping up their movie production with their own cinematic universe that started with Man of Steel. This time however, Nintendo can make a pre-emptive grab at the video game side of this growing revitalization of the Man of Tomorrow. He even comes with a built-in move list with super strength, laser eyes, frost breath, throwing the S on his chest at guys, and just about every other superpower you can name. It’s finally time for Nintendo to make up for the travesty of Superman 64. What? It might happen. You don’t know, Nintendo’s crazy. Sean Schemmel already plays Lucario, we’re practically halfway there. 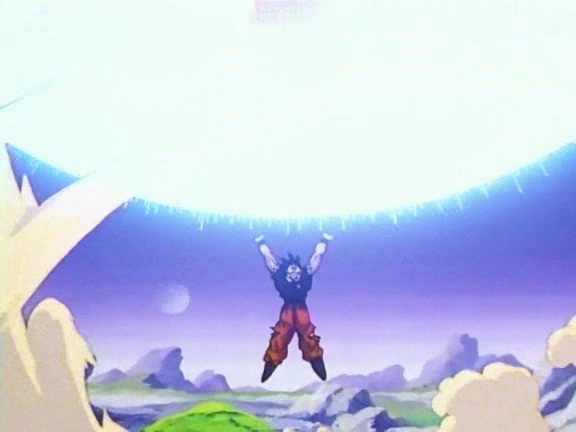 EVERYBODY PUT YOUR HANDS UP AND GIVE THEM YOUR ENERGY! WE CAN MAKE IT HAPPEN!